With the Indian Premier League (IPL) 2018 all set to begin this April, BCCI and Star India have collaborated to co-create the campaign this year. It puts the spotlight on ‘Best vs Best’, that is the best in global cricketing prowess competing against each other. An enthralling anthem that brings alive the unifying spirit of IPL heralds the start of a thrilling face-off of best vs best. Conceptualised by Ogilvy and Mather, the anthem titled Best vs Best focuses on IPL as the embodiment of the best of cricketing action with the best of global talent showcasing their prowess as match winners. The premier cricketing tournament stirs up a mix of emotions for Indian fans – pride, excitement and euphoria. The anthem is being released simultaneously in five languages – Hindi, Tamil, Bengali, Kannada and Telugu – across all platforms: TV, radio and digital. Building great synergies, Star India, BCCI and O&M have collaborated with a talented team comprising South African film maker Dan Mace, music director, Raajeev V Bhalla and vocalist Siddhart Basrur, who sung the anthem in five different languages. 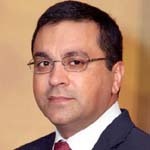 Rahul Johri, Chief Executive Officer, Board of Control for Cricket in India, said, “For us at the BCCI, the focus has always been on increasing the fan base for the sport by engaging not only the hard-core cricket fans but also those who do not follow the sport on a regular basis, namely women and children. Given that we are now ready to embark on the next chapter for the Indian Premier League with the start of the 11th edition, the BCCI, in collaboration with Star India, has worked on co-creating a large multi-media campaign focusing on the ‘Best vs Best’. We hope this campaign spurs the non-cricket viewing public to engage more deeply with the IPL like never before." The 11th edition of IPL starts on April 7 with defending champions Mumbai Indians taking on Chennai Super Kings.